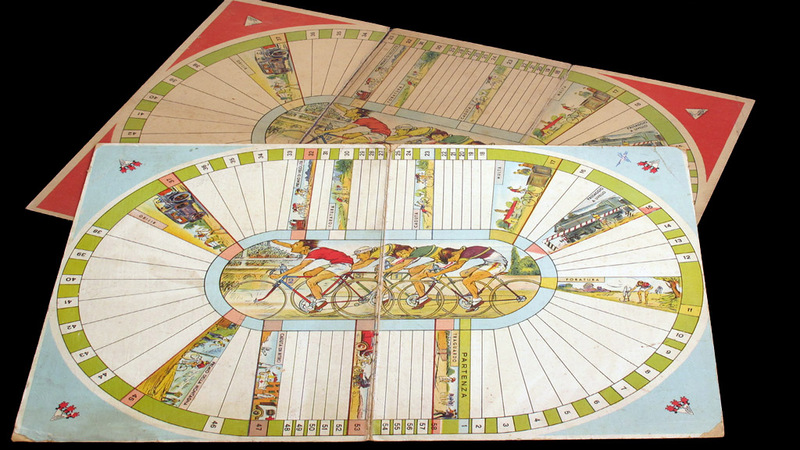 I used to have this elusive italian game under "track cycling games", since the board is velodrome-shaped, but it is no a track game. It has a mountain pass and even a level crossing! I also used to think it was a very rare game, but now that I have two different boards, I wouldn't be so sure. The red board is obviously older, I would say it is from the interwar period, while the blue one is a reprint, maybe even from the sixties. Unfortunately I did not receive the rules with neither board, though I guess they are very simple. 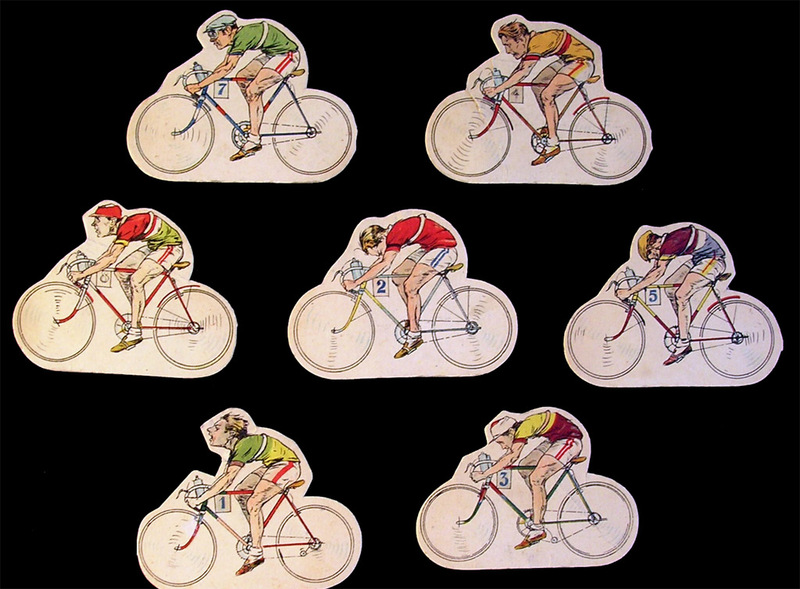 The red board included seven (probably there should be eight, at least they are numbered 1-8, missing number 6) oversized carboard cyclists. This is quite mysterious because not only they are too big, but they are printed on the wrong side (if you place them on the board, with some kind of -also missing- support, they would turn clockwise, while the numbers on the track turn anticlockwise, or else you would see the side that is not printed). 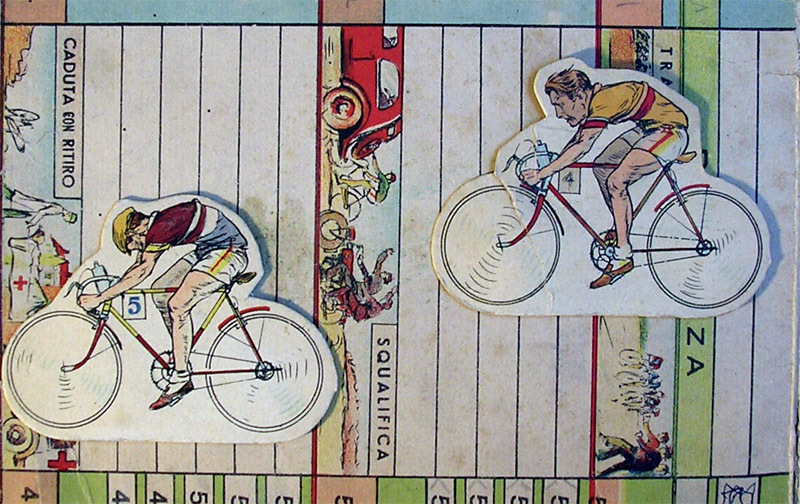 These riders don't look like they are a part of this game, but, on the other hand, the graphics are unmistakably coherent with the ones on the board. 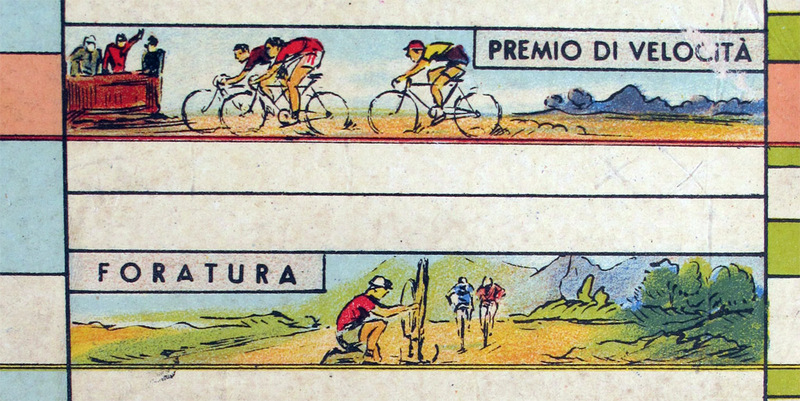 Of course, any piece information about this game (or about Edizioni Cicogna) will be welcome. 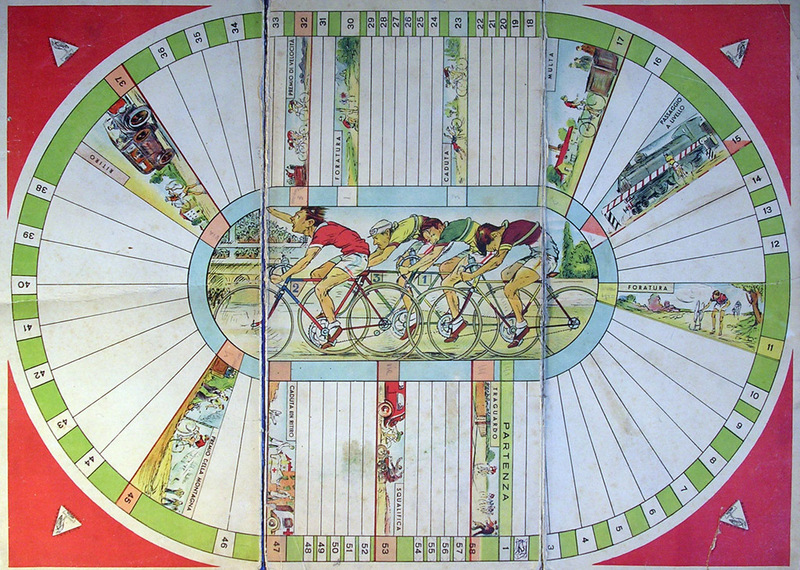 By the way, there is another italian track cycling game (two games, in fact) by a certain "Creazioni Cicogna" which may or may not be the same editor. You do not find these in a velodrome, do you? The road is full of dangers. 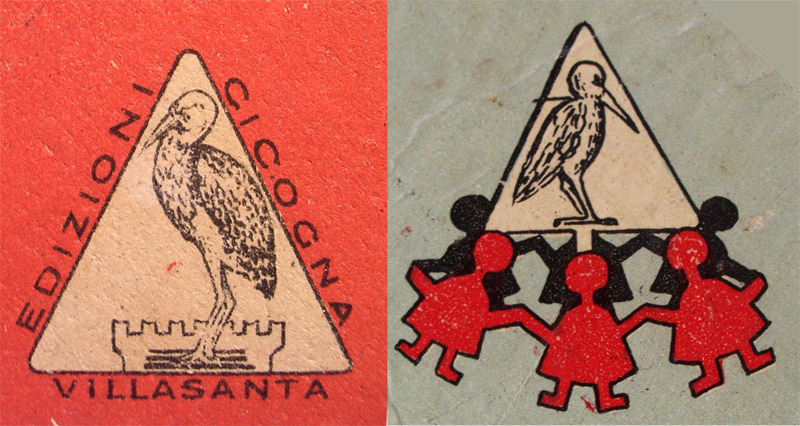 Compare the two Edizioni Cicogna logos. (You can see the "Creazioni Cicogna" stork at the bottom of this page).